Is there a way to do this in Mac Keynote/Pages? You can hunt for things like this in the [badly renamed] Emoji & Symbols [Character] viewer. System Prefs > Keyboard > Keyboard & enable it in the Menu Bar; it will then be more easily accessible. The trick to being able to see the whole list is to enable Unicode, which is less obvious than you'd think. Top left there is a Settings button, which looks to be permanently greyed out. Click it, it works. Unicode is way down the bottom, in Code Tables. Once enabled, you can see it added to the list on the left. Enabling it also then displays Unicode information under any selected character on the right. You can also use the search, top right, for 'combining' which will find them. Entering it as a one-off is simply done by double clicking the symbol in the Characters pane. Italics/Bold can be done before or after the fact, same as any other text. 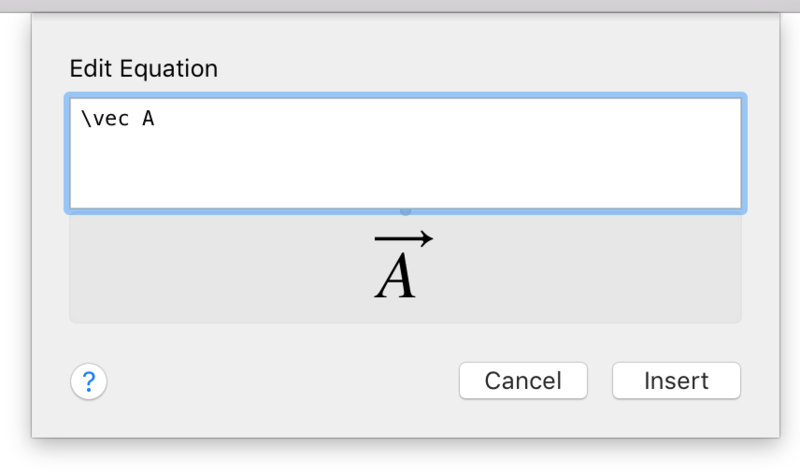 These equations can be display style or inline. Not the answer you're looking for? Browse other questions tagged keyboard pages keynote character . Keynote 6.2 does not keep vector art as vector when copying from Keynote into Adobe Illustrator, is there a work around or setting to fix this?